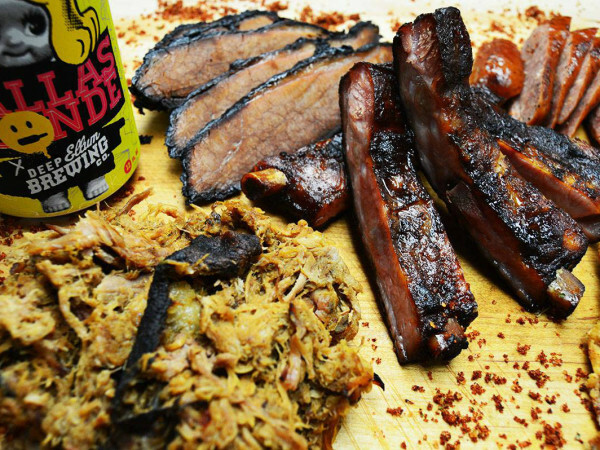 A father-and-son team who've won awards at barbecue cookoffs have opened their own restaurant. Called Blacksmoke BBQ & Grill, it's in Garland at 2121 Northwest Hwy., off I-635. Blacksmoke is a team endeavor from Joseph Gonzales and his son Joseph Gonzales, Jr., who are doing all your barbecue basics, including brisket, chicken, sausage, pulled pork, and some very juicy ribs. 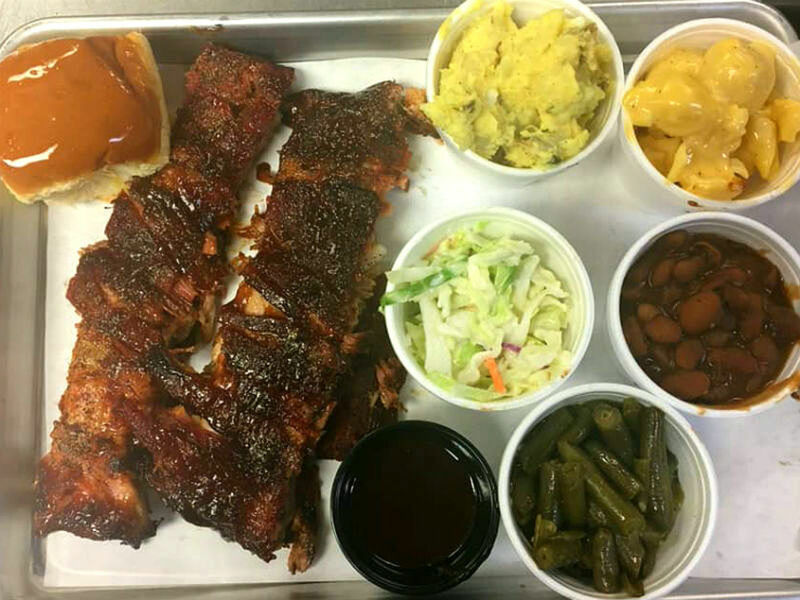 Their menu follows the traditional BBQ restaurant model with meat for sale by the pound, as a sandwich, or in a meat plate with choice of sides and roll. A pound of brisket is $17.49, while a pound of chicken is $5.49. They also do turkey legs as a special; and tri tip, a special cut of beef that's available by special order only. Sides include mashed potatoes, green beans, fried okra, French fries, cole slaw, pinto beans, mac 'n' cheese, potato salad with mustard, and baked beans. Desserts include peach cobbler, cookies, and banana pudding, the favored dessert of BBQ Snob Daniel Vaughn. There are plenty of options if you're not up for barbecue, including fried catfish, burgers, brisket grilled cheese, and a grilled bologna sandwich topped with BBQ sauce & onions for $6.49. Baked potatoes come in the traditional "loaded" variety with sour cream and chives, or topped with meats. Lunch specials, such as a chopped brisket sandwich with a side for $ 5.99, are a common occurrence. They'll also be serving wine and beer — they have a dozen taps ready to roll. They say they are "motorcycle-friendly," and hope to be a launch point for Harley-Davidson rallies. The restaurant represents a passion project for both father and son. Joseph Senior was in the car industry but has always loved to cook. 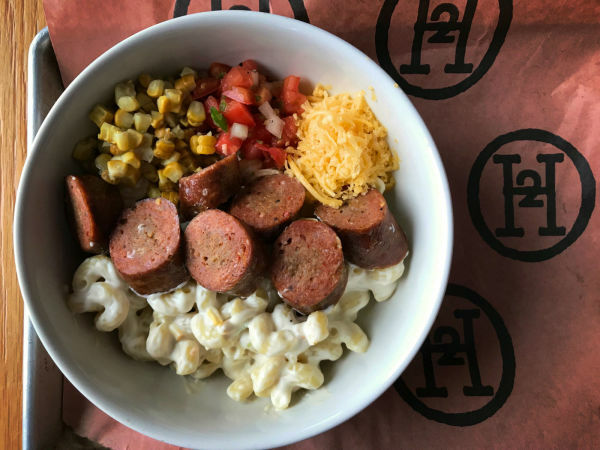 "I began cooking back in the '90s when my cousins would come over and we'd all cook on one of those 55-gallon drums, split in half and turned into a smoker," he says. "I just always really enjoyed feeding people — brisket, ribs, chicken. I liked it so much, I started participating in pit BBQ competitions. I'd bring Joseph Jr. and we'd go around to various competitions in my truck, where you'd stay up all night, feeding the fire." Joseph Jr. was an accommodating son, but he was also on the football team, and loved to play. "But when I got a few concussions, I stopped playing and began searching for another purpose," he says. "Going to cookoffs with my dad, I started learning the whole process, and it became my new passion to cook." They experimented and fine-tuned their recipes, and began to win at the competitions; some of their awards are displayed on the wall at Blacksmoke.